An alloy of copper with 3.5 to 10% of tin and a significant phosphorus content of up to 1%. 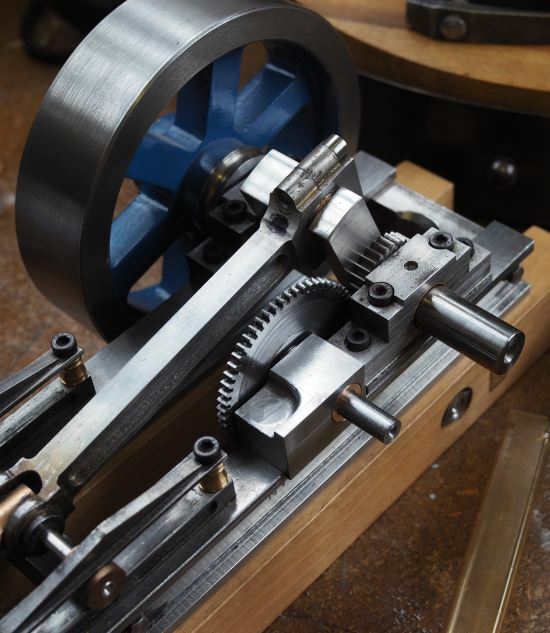 You can get in a lot of trouble when drilling this in the lathe as it does have a tendency to bind and lock. 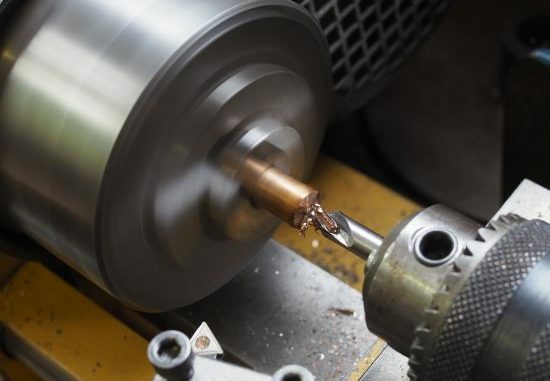 I find the best way is to use lots of cutting fluid to remove the heat and to lubricate the cutter, especially important when drilling phosphor bronze. Phosphor bronze has many uses where resistance to fatigue, wear and chemical corrosion are required. The main bearings, the big-end and the camshaft bearings are all phosphor bronze in my Transitional Engine. In addition the sliders are made from phosphor bronze.